BOLD MONKEY: BOOK REVIEW: David Stephen Calonne- Charles Bukowski. Reaktion Books, London 2012, 221 pages. BOOK REVIEW: David Stephen Calonne- Charles Bukowski. Reaktion Books, London 2012, 221 pages. This is the latest addition to the prestigious Critical Lives series which explores the lives and major works of leading cultural figures of the modern period, including artists, writers, philosophers and architects. 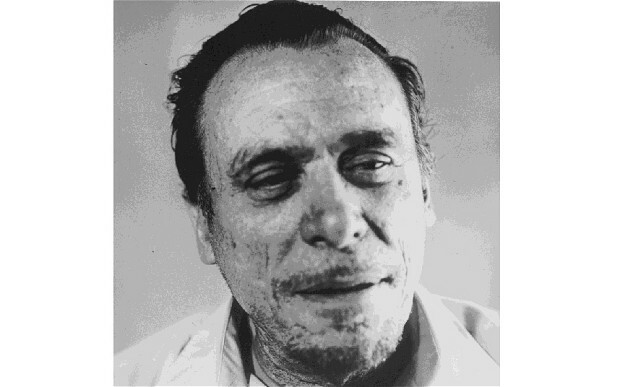 It is fascinating to find the American writer Charles Bukowski (1920-1994) has now made it amongst such luminaries as Samuel Beckett, Salvador Dali, Fyodor Dostovsky, Ludwig Wittgenstein, James Joyce and others. Calonne is best known for his editing of the excellent Bukowski collections for City Lights: Portions from a Wine-Stained Notebook (2008) and Absence of the Hero (2010) and More Notes of a Dirty Old Man (2011). This is a concise but comprehensive overview of Charles Bukowski’s life and work. The book is rigorously researched and provides the general reader with a rich vein of information to help guide their future explorations of Bukowski’s prolific writings. Calonne’s commentary is clear, erudite and full of interesting anecdotes and opinions. He integrates in a seamless fashion a discussion of Bukowski’s personal and professional lives and establishes the context in which every major book was written. To add appeal, the text is accompanied by more than thirty black & white photographs, letters and illustrations. Calonne also traces Bukowski’s association with various writers and editors of the 1960s such as John Martin, Carl Weissner, Douglas Blazek, the Canadian Al Purdy and many others. He also shows how Buk gradually returned to writing prose- short stories, essays and book reviews. He regards his book Confessions of a Man Insane Enough to Live With Beasts (1965) as his first ‘significant breakthrough in fiction.’ The work represented his ‘first extended autobiographical prose’ and was also noteworthy because the name ‘Chinaski appears here for the first time which Calonne comprehensively explains. Calonne suggests that Bukowski knew he was about to be sacked from his Post Office job and he approached Martin to work out the deal without telling him his job as a postie was fucked. The rest is history. Calonne briefly examines each book Bukowski cranks out during this highly productive period. His commentary and assessment is astute and highly informed. For example, in his discussion of Women (1978) Calonne discounts the sexism Bukowski’s writing is often accused of, ‘Indeed, any pretensions of Chinaski to triumphant, phallic malehood are deflated since during his many beddings of women he is frequently unable to achieve an erection and he constantly exposes his fear, vulnerability and impotence: he is often too drunk to perform.’ Calonne goes on to explain how Chinaski ‘synthesizes Dionysian themes of passion and irrationality’ as he waits for the arrival of the next female beer in hand. The last two chapters of the book focus on Bukowski’s comfortable life in San Pedro and on the events leading up to his death at age 73 from myelogenous leukaemia in 1994. It examines his on-going parade of books, his relationship with Linda Bukowski, his late style and subject matter. Thankfully the reader is sparred a discussion of his many posthumous works. This is an exceptional book. 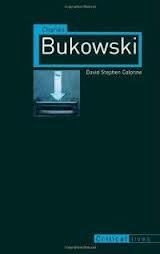 What makes Calonne’s book really stand out for me is his explicit discussion of Bukowski’s evolving style and his clever analysis of a dozen or so significant poems to help explain Bukowski’s remarkable craft. I would love to read a more lengthy and considered discussion of Bukowski’s poems by Calonne. It is also amazing how Calonne can condense huge chunks of Bukowski’s chaotic life in such a refined and literary way. My main criticism, is that there is very little room in a book this size to elaborate in any significant detail. If you consider that there are more than sixty pages of notes and photos, that leaves only about 150 pages of actual literary biography. Another small point, like other volumes in the 'Critical Lives' series, there is no index to help the reader quickly chase up specific references made in the main body of the text.